Newborn photo shoots are fun. But what do you do with all those pictures? Here is an idea that is sure to be a hit. At least it has been with my daughter and her friends. 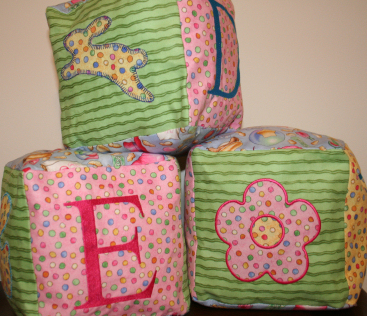 Make several using all the letters of the new baby's name for a great nursery decoration. They could stack vertically or sit horizontally and they make fantastic soft toys as well. These are easy and fun. Here is the first one we made. 1. Crop your photos to as close to 5" squares as you can. You can get a free trial of Paint Shop Pro here if you don't own your own photo editing software. 2. 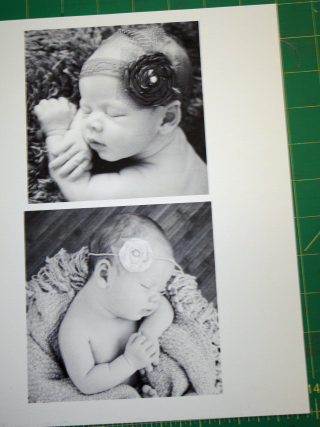 Print your photos on the photo fabric. 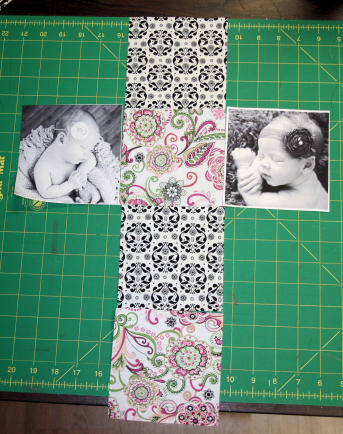 Cut to 5" squares. 4. 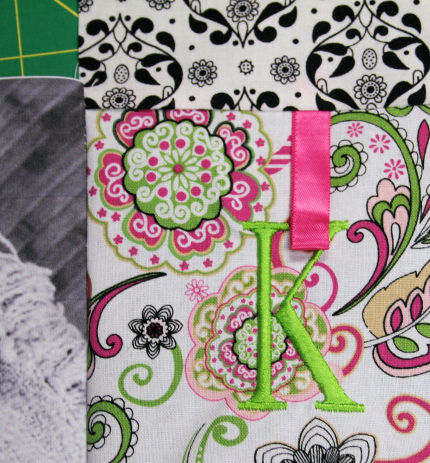 Embroider on the squares as desired. Download the textured designs from mine here. 5. Pin the ribbons in place as desired. 6. 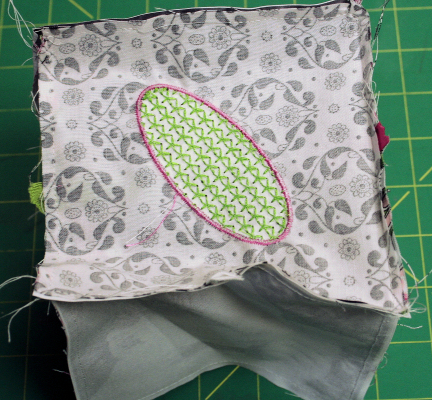 Using a 1/4" seam, sew the vertical strip of squares together with right sides together. 7. 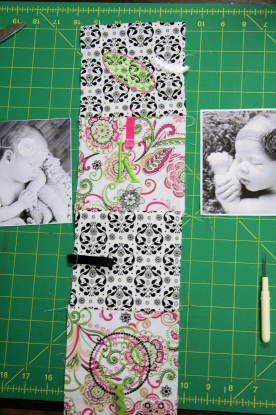 Now place one of the photo squares over the center square with right sides together. Center it so there is 1/4" above and below where the seam will be. 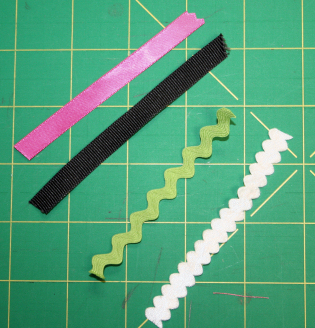 Sew leaving these edges stick out. 8. Repeat for the other photo square. 9. 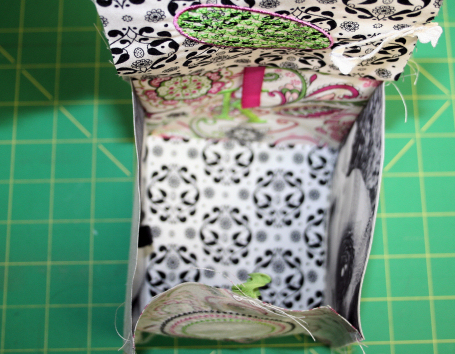 Now Fold and sew the bottom edge like this. 11. Now match up the next side like this and then repeat for the other side. 12. 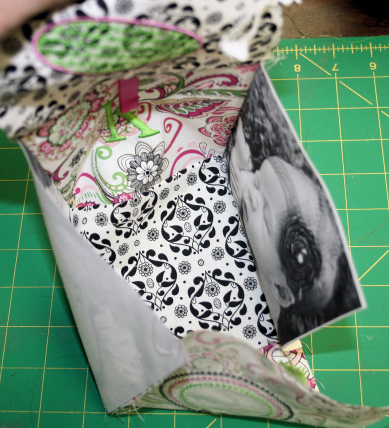 Fold the remaining square down and sew around leaving an opening for turning. 13. 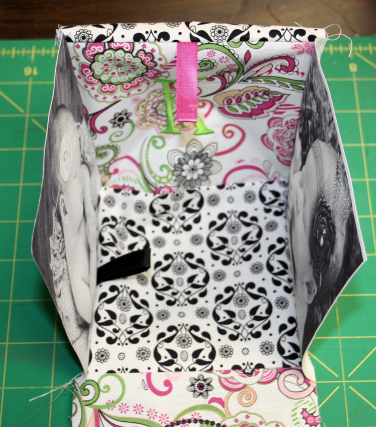 Trim the corners and turn right side out. Press. Stuff with craft stuffing and whip stitch the opening closed. Your first block is done. 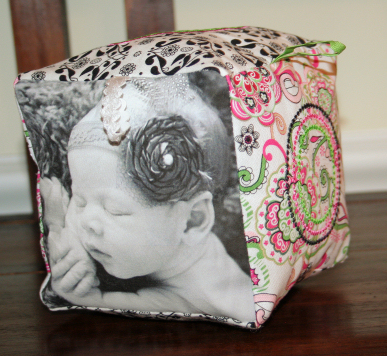 If you don't have photos you can make blocks anyway. Here are some others I made a while back. 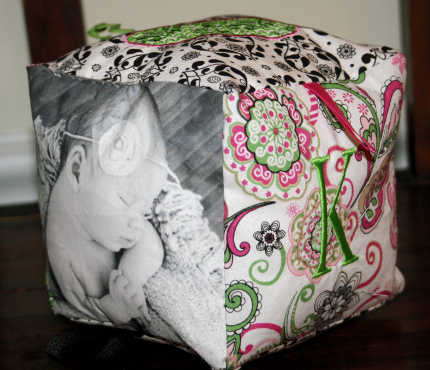 I used larger 6.5"fabric squares for these. Download the designs that go with these here. 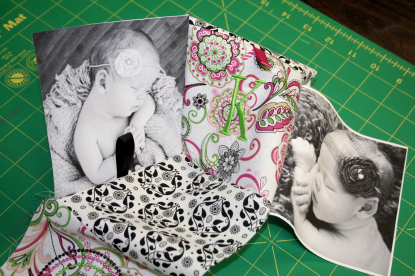 The matching grow chart and door pillow are featured in this blog. Alphabet Xpress would work great for creating lettering for these in whatever size you need. Since I have been snowed in a lot this winter I have had more time to sew than I would normally. I look forward to sharing some of the projects with you soon. OMG, I think even I can do this! 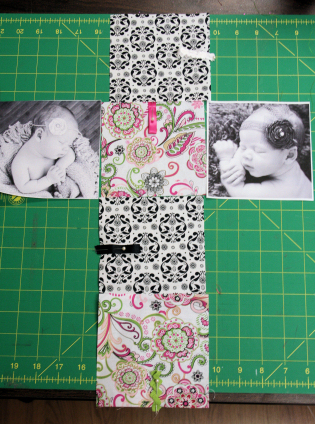 Definitely a fun way to use up the fabric scraps left over from making the baby quilt! Matching blocks. Thanks. I can't wait to make some of these for family and friends and grandkids. What a sweet idea, and a definite keepsake. Doll Making and the Ndebele Tribe in South Africa Thread Doll with Tote - No Batteries Required!